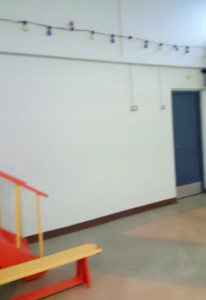 Bray Emmets paint the hall blue! 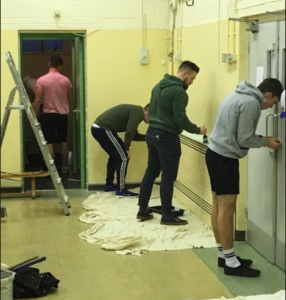 Home / 2019 / April / 01 / Bray Emmets paint the hall blue! 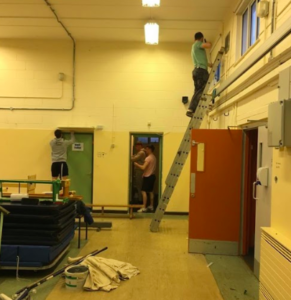 It was a busy weekend for Bray Emmets Senior Football team players who very generously gave up their time off the pitch to paint our PE hall and one of our classrooms in the EDC. We are so grateful to Bray Emmets for all their hard work in organising and carrying out this fantastic job. 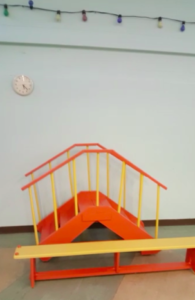 Special mention and thanks to Eileen and to the parents of Alex, Annette and Declan, for making this happen for us. There was a great reaction from staff and students this morning to our new look hall!